"Superman: The Persistence of an American Icon"
"Superman: Persistence of an American Icon" examines the many iterations of the character in comic books, comic strips, radio series, movie serials, feature films, television shows, animation, toys, and collectibles over the past eight decades. 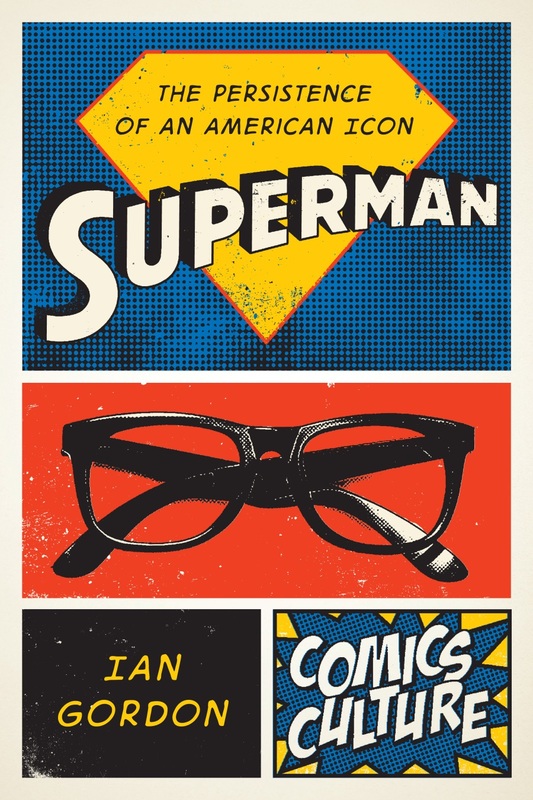 Demonstrating how Superman's iconic popularity cannot be attributed to any single creator or text, comics expert Ian Gordon embarks on a deeper consideration of cultural mythmaking as a collective and dynamic process. He also outlines the often contentious relationships between the various parties who have contributed to the Superman mythos, including corporate executives, comics writers, artists, nostalgic commentators, and collectors. For Superman fans, the book is an interesting insight into not just the history of the character, but the cultural impact he's had on America and the world. The first chapter is a little hard to read, with language that may be beyond the average fan, but if you can push past this, you'll find a treasure trove of valuable information that brings to light how Superman quickly progressed from a fictional character to an entertainment icon. The book examines more than just Superman's growth from comic books to comic strips, cartoons to radio, television to movies, it also explores how Superman's fans themselves have helped to shape the character's evolution via letter columns in comic books through to online fan forums in more modern times. Interestingly, "Superman: The Persistence of an American Icon" also explores how nostalgia for Superman's past shapes current and future versions of the character, and whether those newer versions fail or succeed based on the fan perception of the character, based on our nostalgic memories of who we think Superman is or should be. All in all, "Superman: The Persistence of an American Icon" is an interesting read and well worth the time for any Superman fan interested in the character's past, his growth, his icon status and his success over the years. All aspects of the character's past are touched on, from his creation by Jerry Siegel and Joe Shuster, right through to the "Man of Steel" movie. Purchase "Superman: The Persistence of an American Icon" in Hardcover, Paperback or for the Kindle from the Superman Homepage Online Store.